Services Offered by Hoglund Chiropractic Center, P.A. Our office in Merritt Island is Truck Driver Friendly! Get your $75 Driver Friendly DOT Physical exam at our convenient clinic located on N. Courtenay Parkway in Merritt Island. ~For your convenience, we also provide A1C testing (when necessary) results in five minutes at $30. Our mission is to provide courteous and quality service to the drivers in need of a DOT Physical Exam (CDL physical exam). Need your CDL Physical Exam Today? We know that your time is valuable and we make every effort to schedule accordingly and won’t keep you waiting. Worried About Passing Your CDL Physical Exam? We understand that it is very important that you continue your livelihood as a commercial driver. Dr. Hoglund has extensive knowledge in DOT medical guidelines. We make every effort to help you comply within those guidelines so you can continue uninterrupted with your hard earned occupation and profession. Dr. Hoglund will spend the time with you should you need education and information on lifestyle changes, such as eating habits for weight loss and/or exercise, at no additional charge. Not sure if your medical condition will affect your driving status? Just give us a call before your appointment. We are here to answer your questions. Whether you are just traveling thru Merritt Island or one of our local drivers, we are here for you! Looking for a DOT Physical Exam or CDL Physical Exam in Merritt Island, FL? You’ve come to the right place! Dr. Hoglund is a Certified Medical Examiner in the National Registry. He is well experienced in providing the DOT Physical Exam (CDL Physical Exam). He obtained training to become a National Registry Certified Medical Examiner with Team CME and he continues to be a TeamCME member. Team CME provides advanced training for certified medical examiners which Dr. Hoglund has attended. Dr. Edward Hoglund is a 1984 graduate of Palmer College in Davenport Iowa. He has been in full-time practice serving Merritt Island and Brevard County for 33 years and is a member of the American Chiropractic Association, Florida Chiropractic Association and OOIDA, (Owner – Operator Independent Drivers Association). Dr. Hoglund has served his profession and community in numerous capacities. He was invited to make presentations regarding employee neck and back safety with Florida Power and Light (FPL), Bell South (AT&T) and McDonnell Douglas Missile Systems. He volunteered for two years with Merritt Island High School Athletic Department as the team chiropractor for the Mustang Cheerleaders. In addition, volunteered 2 years for the Crisis Hotline for Brevard County. 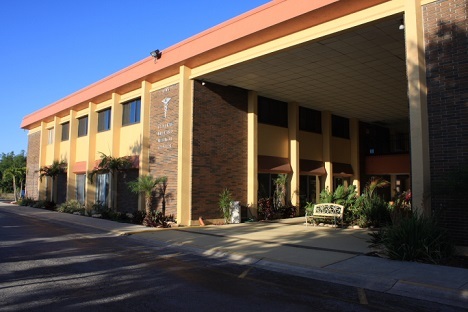 Dr. Hoglund also provides services to Cocoa, Rockledge, Port St. John, Cape Canaveral, Cocoa Beach, Viera, Titusville, Mims, Palm Bay and Melbourne.